Home Technology Hacking How to find a Vulnerable Website? Website Security is a major problem today and should be a priority in any organization or a webmaster, Now a days Hackers are concentrating alot of their efforts to find holes in a web application, If you are a website owner and having a High Page rank and High Traffic then there is a chance that you might be a victim of these Hackers. 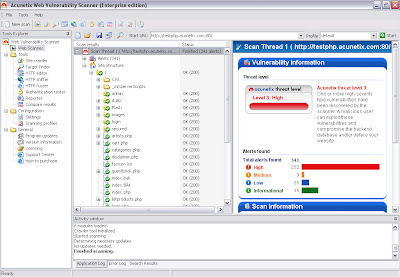 Acunetix is one of my favorite tool to find a venerability in any web application It automatically checks your web applications for SQL Injection, XSS & other web vulnerabilities. 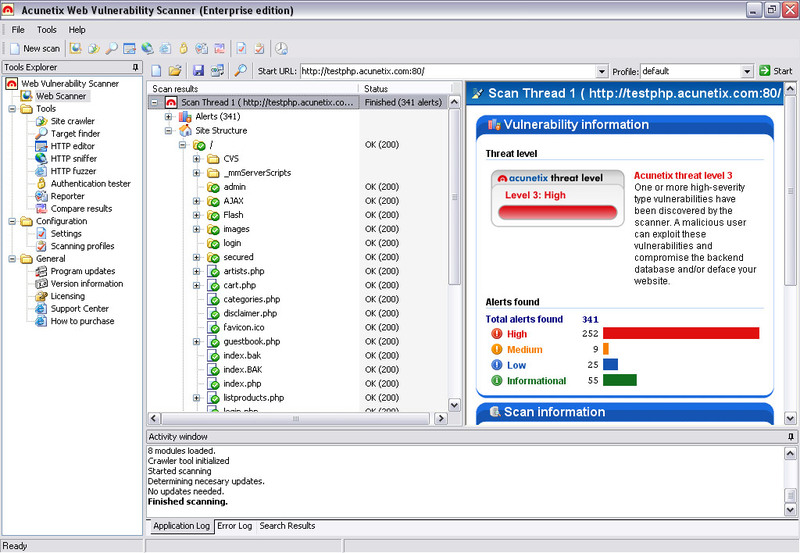 Nessus is the best unix venerability testing tool and among the best to run on windows. Key features of this software include Remote and local file securitychecks a client/server architecture with a GTK graphical interface etc. Retina is another Vulnerability Assessment tool,It scans all the hosts on a network and report on any vulnerabilities found. The Metasploit Framework is the open source penetration testing framework with the world’s largest database of public and tested exploits.